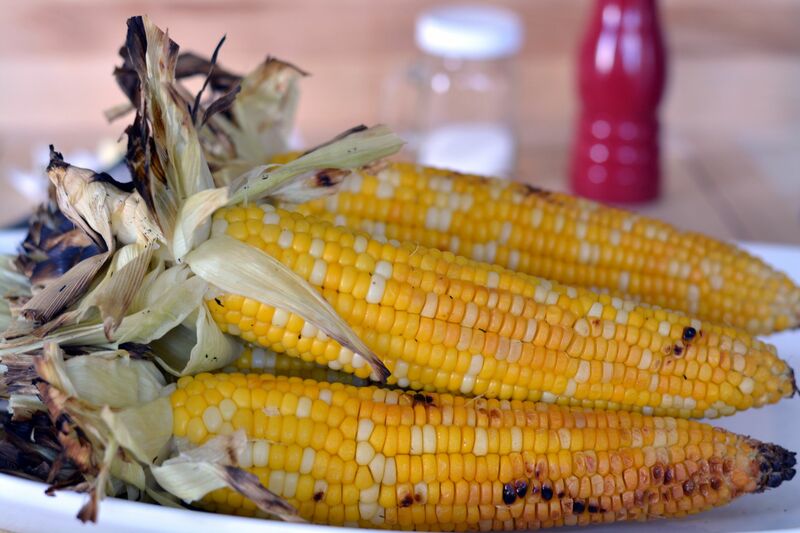 Eating grilled corn on the cob is a delicious treat that is always available anywhere you go in Colombia. And just like “chuzos” or skewers/kabobs, corn on the cob is sold like hotcakes, especially on the weekends which is when families love to go out on field trips all over the country. We love eating corn at home and we do it more frequently during the summer because we love to eat outdoors. 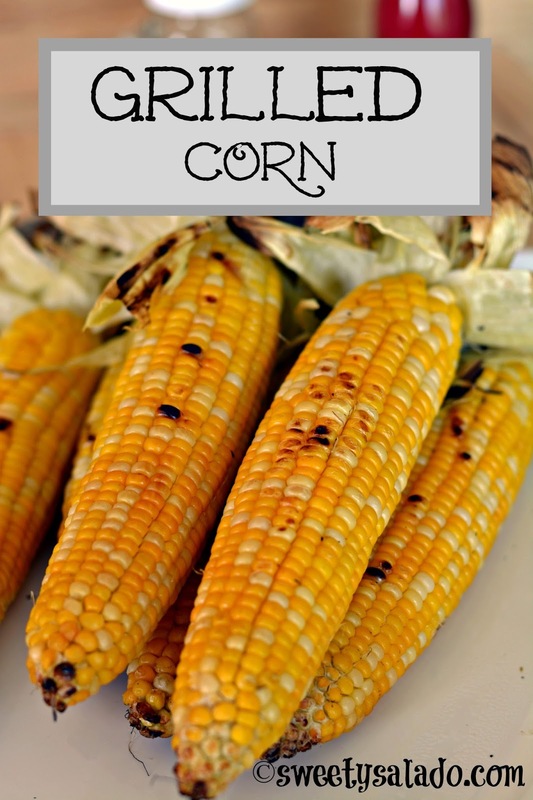 Grilling corn is super easy to do and just like many other recipes, there are different methods on how to grill it. You can remove the husks completely and grill the ears of corn directly on the grill. Another way is to wrap each ear of corn with aluminum foil and then grill it. And today, I’ll be showing you the way I like the most, which is leaving the husks on, soaking them in water and then grill them. I love grilling corn this way because the steam that you get after the husks hit the grill give you a more tender and less dry corn. Then you just have to remove the burnt leaves and serve them with your favorite butter. I really like to mix butter with Parmesan cheese and garlic or BBQ sauce. And too bad I didn’t think about making a video on how to make flavored butter with different flavors to show you alongside this blog entry. But I promise to do it some day. Pull the husks off the corn, leaving about 1 inch (2.54 cm) from the bottom. Remove the silk as much as you can and then fold the husks back into place. Soak the ears of corn in large pot or bowl full of water for at least an hour. Preferably more. Remove the ears of corn from the water, shake off the excess and grill on medium heat for about 15-20 minutes or until the corn is tender. Make sure to close the lid and turn the corn every 4-5 minutes so it doesn't burn too much. Remove the burnt husks with scissors and serve the corn with your favorite butter and salt.